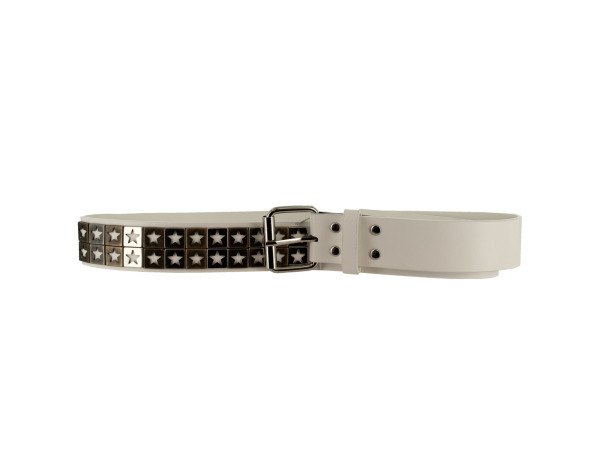 A fun fashion accessory for men or women, this 2XL 1.5" White Star-Studded Belt is a real attention getter. Faux leather belt is embellished with silver tone and antiqued brass star cutout rivet studs. Measures approximately 52" x 1.5" x 0.125". Comes loose with a UPC tag.